In the 1850s and 1860s, a group of artists known as the Barbizon School boldly diverged from the classical tradition of creating idealized, Italianate landscapes and instead explored their native French countryside. They produced spontaneous sketches done outdoors, and presented them as completed oil paintings. These innovations inspired Monet, Auguste Renoir, and the younger generation of Impressionists, who later developed a new way of painting plein-air subjects that emphasized luminous color and atmospheric effects, and Monet turned out to be the most prominent example of this style. SPECIAL NOTE : The painter will make the reproduction as close to the original oil painting as possible. 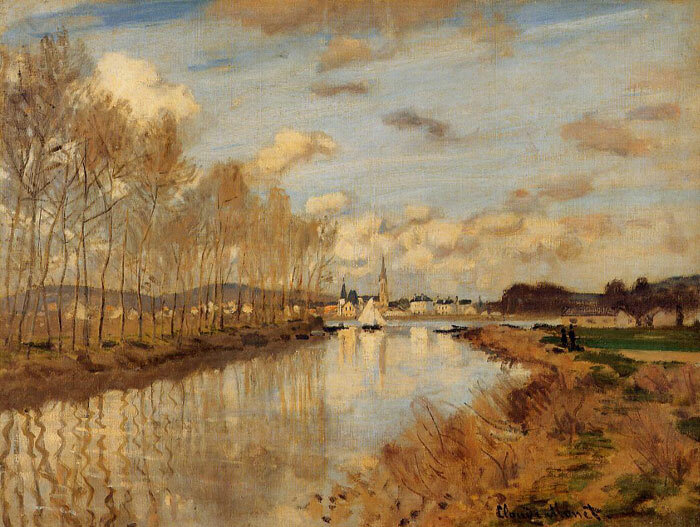 If you want your painting to alter from this likeness, please email us and " Argenteuil, Seen from the Small Arm of the Seine, 1872 " will be reproduced according to your special requirements.